The Hunter Academy of Sport would like to formally announce that they will be taking over the ownership and management of the only Hunter-based 2019 Dooley’s Metro League Netball team and will begin operation under a new team name - Hunter Netball. 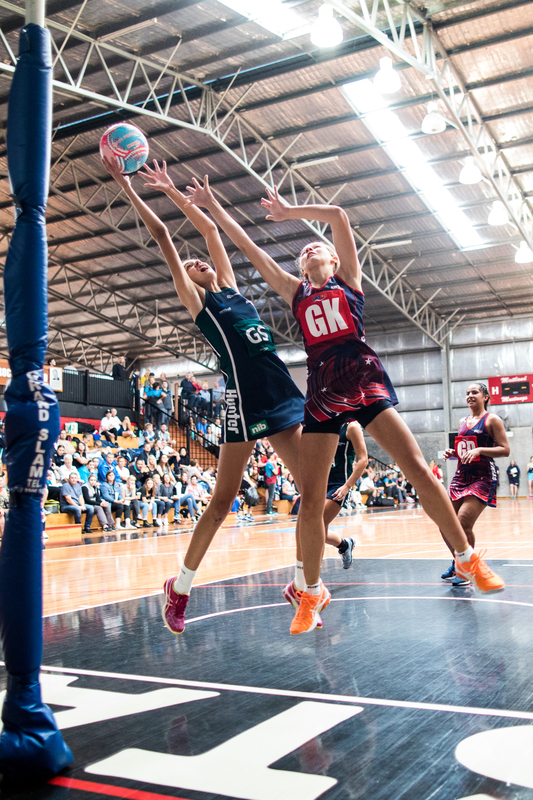 Metro League is one of the elite netball competitions in New South Wales, offering weekly competition for the state’s most talented netballers, coaches, umpires and administrators. Hunter Netball will have two teams in the 2019 Metro League, with early indications from Netball NSW and 2018 placings indicating a spot in both division one and division four for the 2019 season. Hunter United have previously been a successful brand in the Metro League, leveraging opportunity for regional athletes to compete against their metropolitan counterparts. This partnership with the Hunter Academy of Sport will provide Hunter Netball with credibility as they continue to create a strong team and open the pathway for the next Premier League bid. The commencement dates for the competition shall be advised to Associations by Netball NSW via email and the Netball NSW website. Competition Matches are to be played as advised by Netball NSW. The fixture for all Divisions of the Competition will be posted on the Netball NSW website at least two (2) weeks’ prior to the commencement of the Competition, where possible. The Competition consists of Association Teams competing in Division 1 – Division 6 which includes a maximum of ten (10) Teams per Division. The Competition will consist of eighteen (18) Minor Round Matches followed by a Finals Series for each of the Divisions. The Netball NSW Competitions Manager will make the final decision as to the draw and the scheduling of Matches. The top four (4) Association Teams from the Minor Round Matches for each of the Divisions advance to the respective Finals Series. Major Semi Final – 1st position on the premiership table at the completion of the Minor Round Matches (being designated as the ‘Home Team’) versus 2nd position on the premiership table at the completion of the Minor Round Matches (being designated as the ‘Away Team’). Minor Semi Final – 3rd position on the premiership table at the completion of the Minor Round Matches (being designated as the ‘Home Team’) versus 4th position on the premiership table at the completion of the Minor Round Matches (being designated as the ‘Away Team’). Preliminary Final – loser of the Major Semi Final versus winner of the Minor Semi Final with the Major Semi Final loser (being designated as the ‘Home Team’). Grand Final – winner of the Major Semi Final versus winner of the Preliminary Final with the Major Semi Final winner (being designated as the ‘Home Team’). All Players entered into the Competition must show as a financial registered member of Netball NSW or relevant State or Territory in the Netball NSW Member database at the time of lodging the team registration. Associations shall register Teams in accordance with procedures as determined by Netball NSW with a minimum of seven (7) and a maximum of twelve (12) Players’ names. An Association Team is not permitted to have more than twelve (12) Players registered at any time.